The South Korea government has created an initiative to force its employees to stop working so damn much. Over the course of the next three months, it will shut down government computers progressively earlier on Friday nights. The Seoul Metropolitan Government plans to to start the initiative on March 30th, and will roll it out in three phases, according to the BBC. For the first phase, all computers will be shut down at 8:00 pm on Friday nights. Then in April, the government will begin shutting down computers at 7:30 on two Fridays of the month. In the final phase in May, all computers will shut down at 7:00 pm every Friday. The initiative will affect all government employees, though some people may be able to get exemptions. Data from the Organisation for Economic Co-operation and Development shows that South Koreans on average work more than workers in any other country. 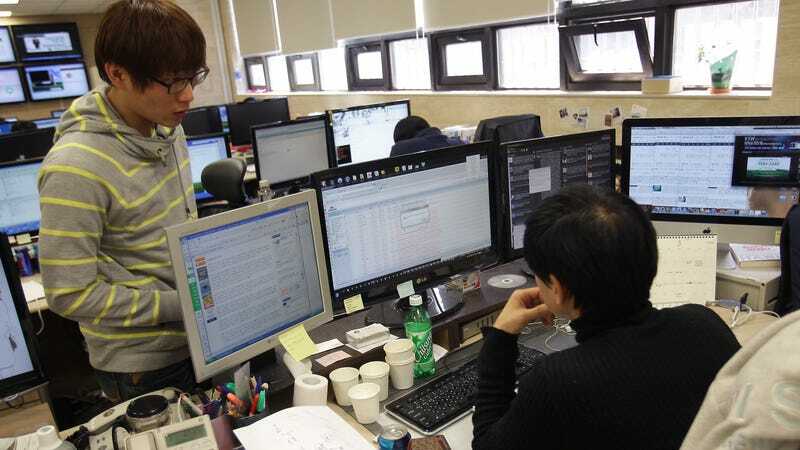 South Korea government employees work an average of 2,739 hours a year, according to South Korean outlet Yonhap News Agency. That’s about 1,000 hours more than government workers in most developed countries.